In response to the declining monarch butterfly population, resident artist Jenny Kendler debuted Milkweed Dispersal Balloons as part of the recent Marfa Dialogues / St. Louis series. The project, funded by the Robert Rauschenberg Foundation, and Pulitzer Foundation for the Arts, generated much public discussion and press around NRDC’s work on monarchs, helping to raise awareness of the dangers that pesticides, habitat loss, and climate change pose to pollinators. The project consisted of a mobile “food cart” that distributed milkweed seeds throughout St. Louis, world headquarters of Monsanto. 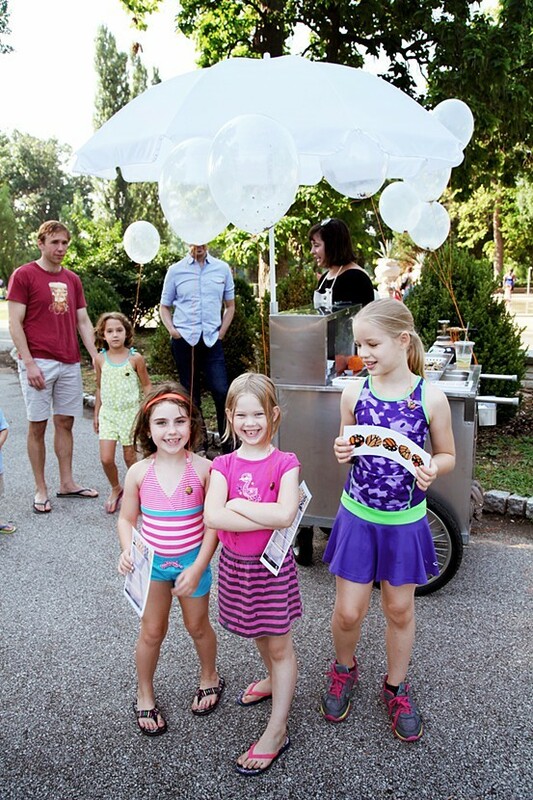 The artist, engaging with families and individuals, distributed biodegradable balloons filled with floating milkweed seeds. The transparent balloons were pinned to people’s shirts with buttons showing fragmentary close-ups of monarch wings. Participants were asked to take the balloons back to their neighborhoods and pop them outside, become the agents of seed dispersal and thus supporting migrating monarch populations in the years to come. You can find more information and additional images of the project here. 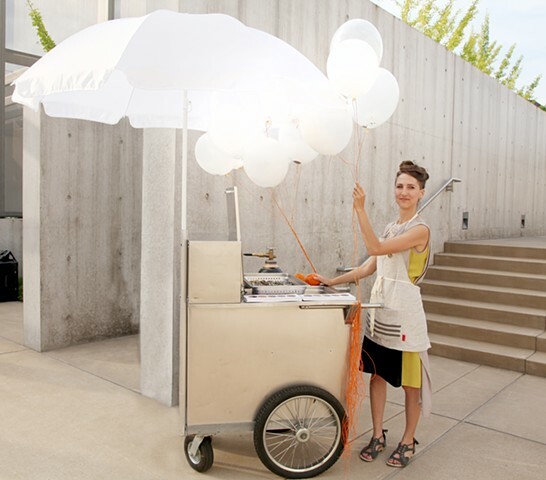 The artist with the monarch food cart, just before the opening of the Marfa Dialogues at the Pulitzer Arts Foundation. Buttons showing fragmentary images of monarch wings are given to participants to fasten the balloons as well as to pop them. 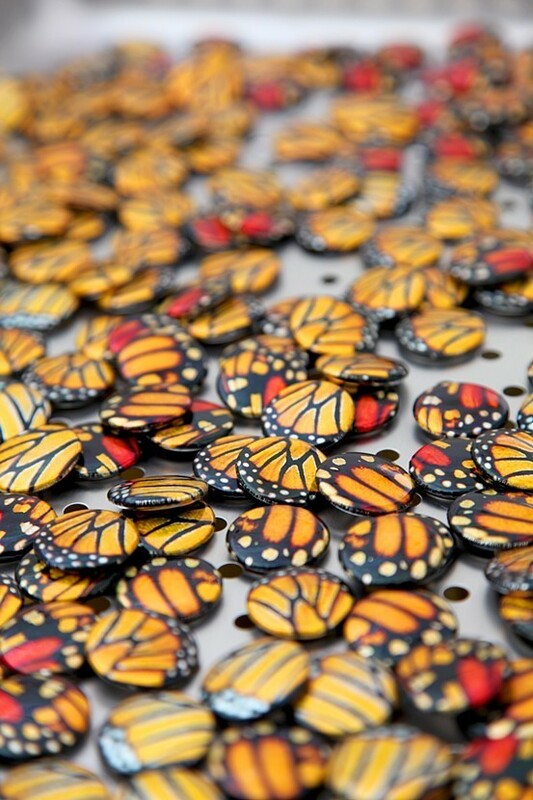 The buttons can later be worn as a sign of support for monarchs and the natural world. 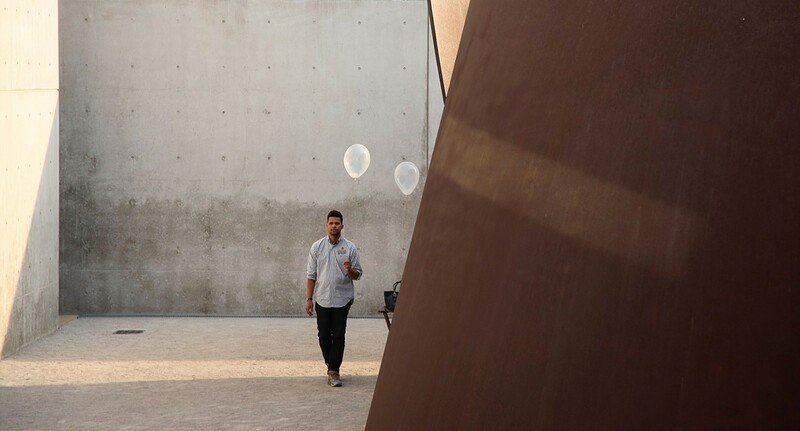 A participant with a milkweed balloon stands next to “Joe,” one of Richard Serra’s torqued spirals. New monarch defenders are enlisted when ‘Milkweed Dispersal Balloons’ is performed at Tower Grove Farmer’s Market as part of the Marfa Dialogues. This entry was posted in News and tagged Jenny Kendler, Milkweed, Milkweed Dispersal Balloons, monarch, monarch butterflies, monarchs, NRDC. Bookmark the permalink. Follow any comments here with the RSS feed for this post. Post a comment or leave a trackback: Trackback URL.